Charts in an enterprise/business related scenario are daily basis work. SAPUI5 is already offering tools to deal with charts (see VizFrame). But at the very moment they are limited and a little bit outdated if compared to rest of others web framework/library. That’s why I thought it would be a good idea (and a challenge) to wrap and port ChartJS to OpenUI5. openui5-chartjs is a custom OpenUI5 library that wraps Chart.js. NB: at the current library state we only support the first 6 chart types. The full coverage will come in the next few releases. 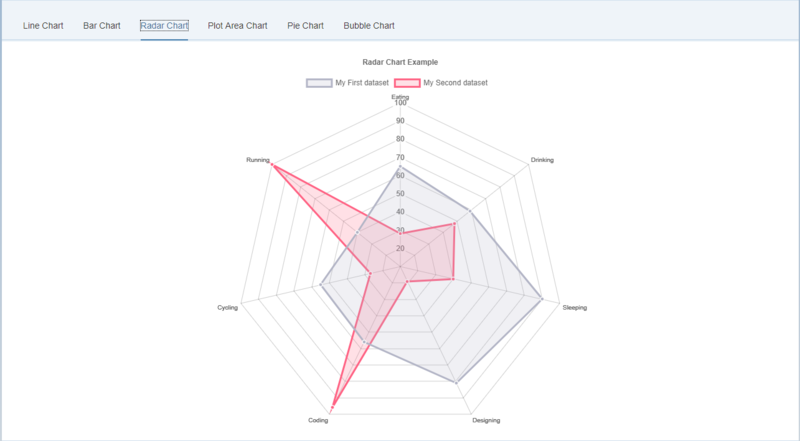 Here you can find a complete demo of all chart types. Thank you very much, Rajesh!